A Sussex Police officer who knocked down a man on a pedestrian crossing while driving on the wrong side of the road has pleaded guilty to careless driving, a police watchdog said. 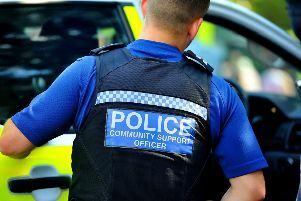 The Independent Office for Police Conduct (IOPC) said PC Russell Kyle, 31, pleaded guilty at Lewes Crown Court on January 21 2019 and was given a conditional discharge. The Brighton-based police officer was originally prosecuted for dangerous driving, but the charge was later substituted for the lesser offence of careless driving. The court heard that on September 19 2017, shortly after 6pm, a man in his fifties was struck by a police car on Kings Road, Brighton and suffered broken ribs and cuts to the face. PC Kyle had been attending an emergency incident and his car’s blue lights and sirens had been activated, the police watchdog said. An IOPC spokesperson said: "The incident was referred to us on September 20 2017 and an investigation was launched. We completed our investigation in March 2018 and referred a file to the Crown Prosecution Service who authorised the charge. "We have also passed our final report which concludes PC Kyle may have committed gross misconduct to Sussex Police who have agreed and a misconduct hearing will be scheduled in due course." Detective Chief Superintendent Steve Boniface, head of Sussex Police's Professional Standards Department, said: “We expect the highest standards of our officers and staff in all aspects of their work. "On rare occasions, a failure in these standards leads to a criminal charge and it is entirely right that this officer faced a public court in respect of the incident in which he was involved.